TheSage is an English dictionary and thesaurus that contains over 145,000 references with multiple detailed definitions (over 200,000), and nearly 1,200,000 relationships between definitions. It features cross-referencing, wildcard and anagram search, multi-session history etc. How to extract: Download the "PORTABLE" ZIP package and extract to a folder of your choice. Launch TheSage.exe. I tried the latest version of this dictionary/thesaurus portable software and still had problems with it. Only this time, I recorded my problem. @Mixture: This is really something you need to post about in forums. Check this version for safety! 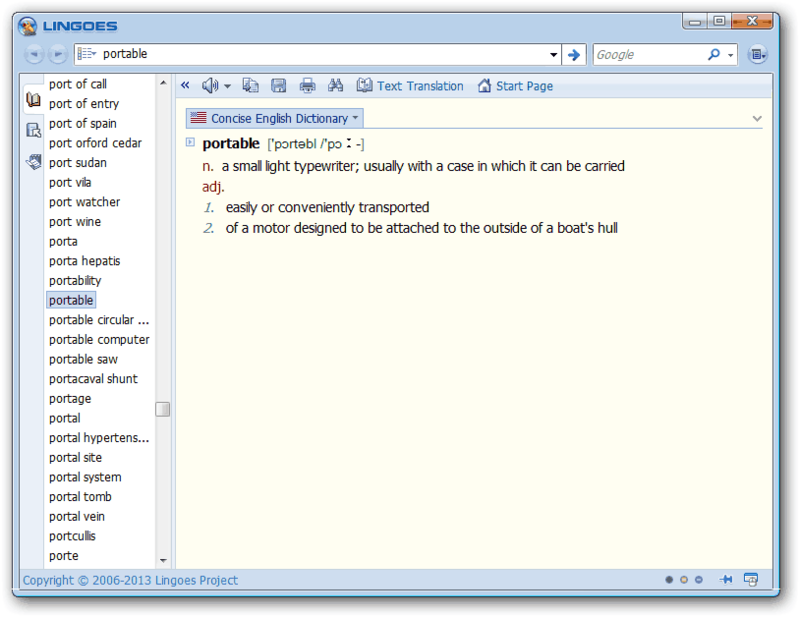 Lingoes is an easy and intuitive dictionary and text translation software. It offers lookup dictionaries, full text translation, capture word on screen, translate selected text and pronunciation of words in over 80 languages including Chinese, Spanish, English, Arabic, Portuguese, and more. 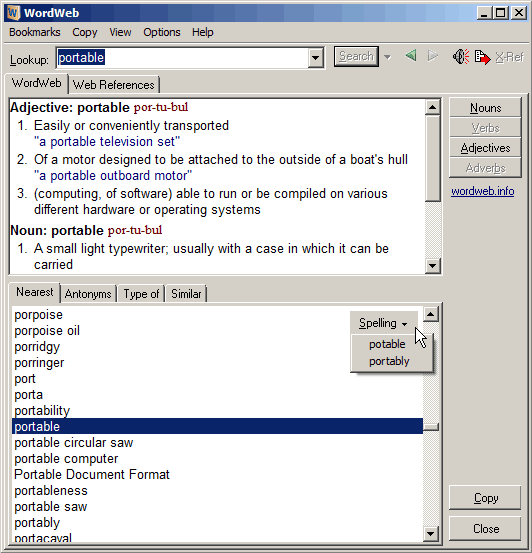 The application includes the Concise English Dictionary and additional dictionaries are available for download. How to extract: Download the ZIP package and extract to a folder of your choice. Launch Lingoes.exe. http://uploading.com/files/thankyou/ca64ece4/Lingoes.Translator.and.Dictionaries.part1.rar & http://uploading.com/files/thankyou/92e1656f/Lingoes.Translator.and.Dictionaries.part2.rar . I used 7-zip to unzip the files (unzip "part1" and you will unzip the whole file). The dictionaries are found in the folder "dictionaries". A list is found at http://download-pedia.com/?a=f&b=OgRWJSMhCGcRWjkWCgJZUAcoSyolXA!! , although the links did not seem to work. Also, if you try to download the ".ld2" files from the Lingoes website, I did get a download window sometimes from "Download from Dbank" if I left clicked all over the first screen that came up about 100 times. Every now and then you will get a series of downloads from "Download from SkyDrive", but only on certain dictionary downloads. However I would like to ask- is there a way to block the annoying ads? I would rather stop using Lingoes than tolerating the obtrusive ads Lingoes spews out at every search. McGill English Dictionary of Rhyme / VersePerfect allows you to enter any word to see rhymes, near-rhymes, similar terms, and more. 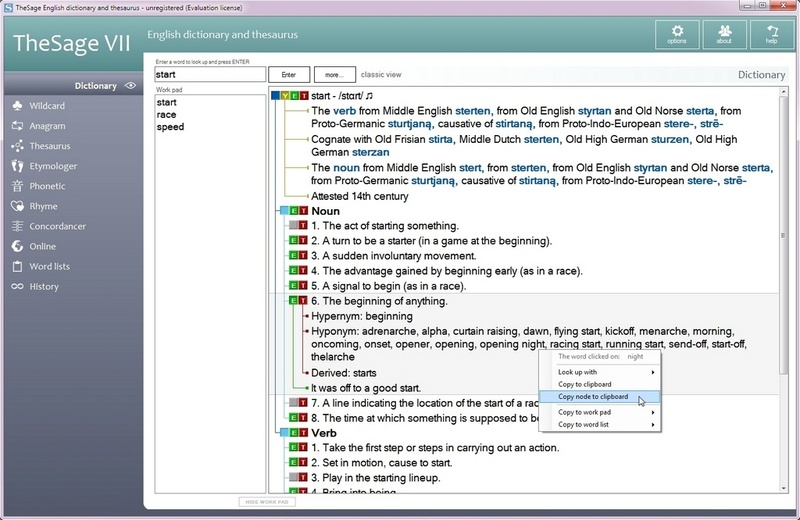 The program even features a visually interesting "hyperbolic thesaurus" (visible in the screenshot). Note: Main website links to download.com, which we recommend avoiding. Download link switched to Softpedia. It wants to contact 174.143.153.109 and I can't find a way to turn this off.